Your Path to Healing and Joy! We are here to help you find a way when you are lost or the way seems too long or challenging. We are ready to meet you today with encouragement and support at any stage of life. Whether you are dealing with depression and anxiety, relationship issues, addictions, loss of a loved one or other problems, we will work with you to find a bright future outside Ethos door. Our highly collaborative staff of psychologists and psychotherapists brings diverse specialties and skills to provide unique insights and integrative approaches for assessment and treatment of the whole person: mind, body, and spirit, whatever the environment and situation. We take care to ease your personal journey by coordinating a continuum of care with family, schools, clergy, doctors and lawyers. We utilize many evidence based modalities including Cognitive Behavioral Therapy (CBT), Family Systems, Acceptance and Commitment Therapy (ACT), Structural/Interpersonal relationships, EMDR and Mindfulness with psychoeducation to create lasting changes for all ages. We provide a Christian faith-based support system. Intensive therapy is available. Carol’s specialty is developing strength and resilience in relationships. She believes it is essential to help clients build faith in the hard work of premarital counseling, divorce prevention, post-divorce recovery, being single, adjusting to chronic illness, aging and women’s issues. She focuses on problem solving and innovation to help clients think outside of the traditional counseling box and get unstuck in chronic situations and life transitions. Her approach integrates Cognitive Behavioral, Psychodynamic, and Solution Based Therapies with EMDR and Mindfulness. She treats underlying disorders such as low self- esteem, stress and anger management issues that accompany complex trauma and abuse. Carol will lead you over rough spots and help you build bridges in workshops and support groups focused on mind-body-spirit awareness both during and after therapy. Carol relies on foundations of faith in leading premarital, marriage and family workshops for Chicago parishes. She was a presenter at the International Orthodox Psychotherapy Conference on “Barriers to Conversion”. Carol is a guest speaker on “Come Receive the Light” radio program, and blogs on the Orthodox Christian Network. She is a Licensed Clinical Professional Counselor and a National Certified Counselor. Carol holds an MA in Professional Counseling from Illinois School of Professional Counseling Argosy University, Chicago, IL. Her past experience includes private practice and domestic violence shelter counseling services. Previously, Carol was a senior human resources executive, management consultant and trainer. She has extensive coaching experience with career counseling, employee relations, conflict resolution, team building and performance challenges in college and job settings. Dr. Yolanda provides mental health counseling for individuals, children, adolescents, couples, and families experiencing anxiety, depression, anger, loss, and relationship conflicts. She incorporates a psychoeducational component by offering educational assessments to identify academic functioning and to develop effective coping strategies. She believes in empowering her clients to discover their true self. As a Certified Anger Management Specialist-II, she utilizes an evidence-based approach to counseling and support conflict resolution geared towards enhancement of goals, relationships and the work environment. Dr. Yolanda is an Ordained Minister. She seeks to integrate evidence based psychological treatment with counseling to those of the Christian faith. She has a strong desire to provide pastors and parishioners with the resources and tools needed to empower them emotionally, cognitively, and spiritually. In addition, she provides spiritual guidance that fosters a sense of self-worth and connectedness. She uses a holistic and integrative approach to therapy to help clients learn spiritual strategies and skills to find a path to healing in which they can enjoy the fullness of life. She is passionate about working with her clients to form a working partnership in an empathetic and safe environment to explore the nature of their struggles. According to her theoretical orientation, many of the dynamics that have influenced the complexity and intensity of our struggles are rooted in relational issues. She believes we are made to relate in a satisfying and self-giving manner, and this is likely both the source of our greatest joy and our deepest problems. She uses Cognitive Behavior Therapy, Reality Therapy, Solution Focused, Family Systems, and Person-Centered Therapy to improve her clients’ well-being. She believes every component of therapy is beneficial and can be utilized collectively. 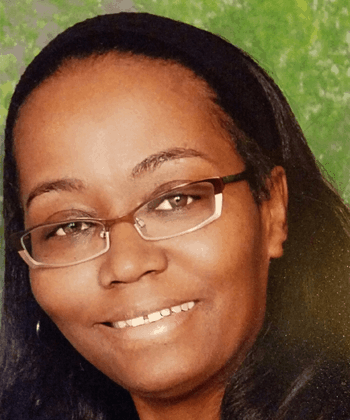 Dr. Yolanda has had great success as an educator, reading specialist, and adjunct faculty with Chicago Public Schools and City Colleges of Chicago. She has worked with children and adults as an educator for over 25 years. 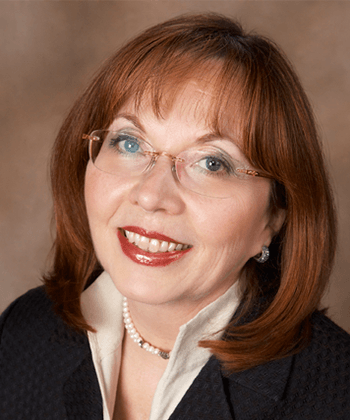 Dr. Yolanda has a Doctorate of Education/Higher Education degree from Argosy University-Chicago, a Master of Science degree in Reading from Chicago State University, and a Master of Arts in Clinical Mental Health Counseling from Argosy University-Chicago. 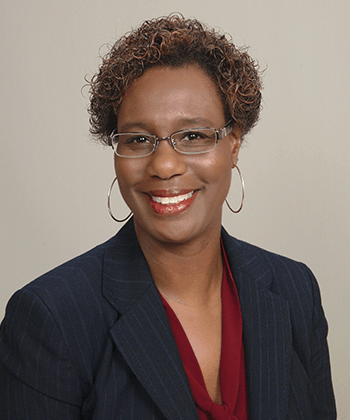 Dr. Yolanda is a Licensed Professional Counselor and National Certified Counselor. Dr Sharon offers innovative psychological testing and assessment for children, adolescents and adults dealing with past or current trauma, abuse, behavior issues and cognitive processing deficits. She is passionate about evaluating clients with learning disabilities, dual diagnosis, ADHD, autism, OCD and Bipolar disorders. Dr Sharon’s goal is to incorporate test results into effective evaluations with life-changing treatment strategies in collaborative care with Ethos therapists. Dr Sharon’s insights offer empathetic and safe environments for those struggling with environment, trauma and abuse induced behavior issues. Her experience treating and caring for those with severe emotional issues and stunted development, especially caused from trauma, is a critical part of the Ethos approach and expertise in helping all adults, parents, foster parents, children, and adolescents receive the healing they deserve. 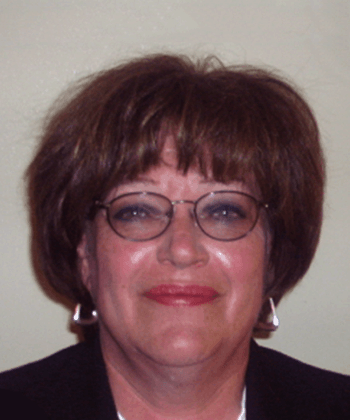 Dr Sharon has a Doctorate of Psychology degree from the Illinois School of Professional Psychology. She completed her Internship on the Children’s Psychiatric Unit with Dr. Barbara Mann at Rush-Riverside Medical Center in Kankakee, IL and received Post-doctoral supervision with the well-known neuropsychologist, Dr. Karen Bevington. She has over 20 years of experience working with children and adolescents in educational and mental health settings such as schools, inpatient settings, residential facilities, and outpatient, educational and residential inpatient settings. She is an up to date, avid proponent of ground breaking developments in trauma treatment and mindfulness techniques for use at Ethos. Paul specializes in addictions, mood-disorders, obsessive compulsive disorders, relationship counseling, and spiritual counseling. His basic belief in the dynamic of counseling: internal healing through the ongoing process of self-discovery. Many people carry within them traumatic events from their past that may have taught them the world is unsafe, and that people cannot be trusted. As a result, they are often hindered by self-isolation, depression, anxiety, and low self-esteem. Paul has been in the counseling profession for over 32 years. 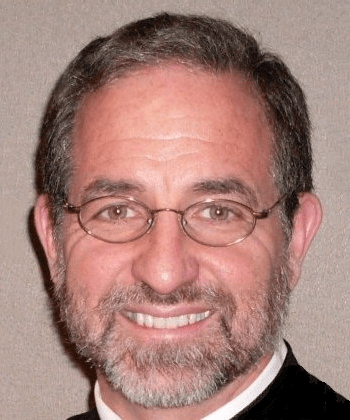 He has a degree in Professional Counseling & Addiction Studies from the University of Detroit-Mercy, and a Masters of Divinity degree from St. Vladimir’s Orthodox Theological Seminary in Crestwood, NY. Meg provides counseling for children, adolescents, families, and couples to offer guidance, peace, and solution-focused treatment solutions to daily life struggles. Her experience, both as a school therapist and as private clinical psychotherapist, has given her expertise in providing a more holistic and integrative approach to therapy. She helps clients with a broad range of problems to cope with depression and anxiety including: behavioral issues related to ADHD, Executive Functioning, autism, emotional modulation, and divorce, parenting, anger management, mindfulness, eating disorders, sexual identity, IEP advocacy, dual diagnosis, self-harm and hospitalization. Meg is experienced in coordinating care with parents, teachers, doctors, police, DCFS and assigned GAL. She believes that the therapeutic process is an intricate journey that allows you to connect and discover your true and authentic self. Her goal is to create a safe and non-judgmental space to help explore ways in which your thoughts, feelings, and behaviors are limiting you from living life to your fullest potential. Meg’s open, empathetic, and intuitive approach allows her to act as a life guide while helping you harness the infinite potential and power within yourself. Meg integrates Cognitive Behavioral Therapy (CBT), Family Systems, Structural/Interpersonal relationships, and Mindfulness modalities to create lasting changes for all ages. Psychoeducation is a strength and Meg is well known for outstanding teacher and parent education within schools and districts. She also offers hands-on play based assessments and expressive therapies. Meg is a Licensed Clinical Social Worker/Psychotherapist (LCSW). She has a Masters of Social Work & School Counseling (MSW & Type 73) from the University of Illinois at Chicago and has a Masters of Educational Leadership & Administration (Type 75) from the American College of Education. Rae is experienced in offering individual, couples and family counseling; treating anxiety, depression, ADHD and trauma. Her specialties include behavioral issues, parenting and anger management. She is passionate about offering mental healthcare to Christians and persons of faith. Integrating evidence based psychological treatment with counseling attuned to the Christian faith, she seeks to provide resources to pastors and parishioners to receive the help they need while supporting their faith convictions. Her desire is to treat the whole person: emotionally, mentally, and spiritually and offer Christians of all denominations the care they need so that they can flourish. She uses Cognitive Behavioral Therapy, Solution Focused, Relationship/Interpersonal and Mindfulness modalities. Her vision is to help pastors understand how to handle mental health issues and develop a comfortable working relationship with counselors to better help the community. Rae is a Licensed Professional Counselor and Minister. 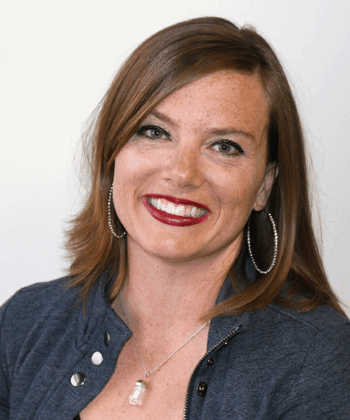 She holds an MA in Clinical Psychology, from Wheaton College, Wheaton, IL and brings diverse experience from private practice, foster care counseling and inpatient settings for Ethos clients. Rae is a Board Member, Metropolitan Family Services, DuPage County. To schedule an appointment with one of our professionals at any location, please call Karen Leach, Office Manager 630-828-8120 or email ofmg@ethoscounselinggroup.com. To verify insurance benefits first, please call Karen 630-828-8120. For your convenience and to help us give you the best possible service, download the following PDF form and fax it to Attn: Karen Leach 630-828-8122 in advance of your first appointment.